Welcome to the Residence Life Experience at William Paterson University. Recreational services featured on campus. Friendly resident assistants and staff. Just 20 miles from New York City. 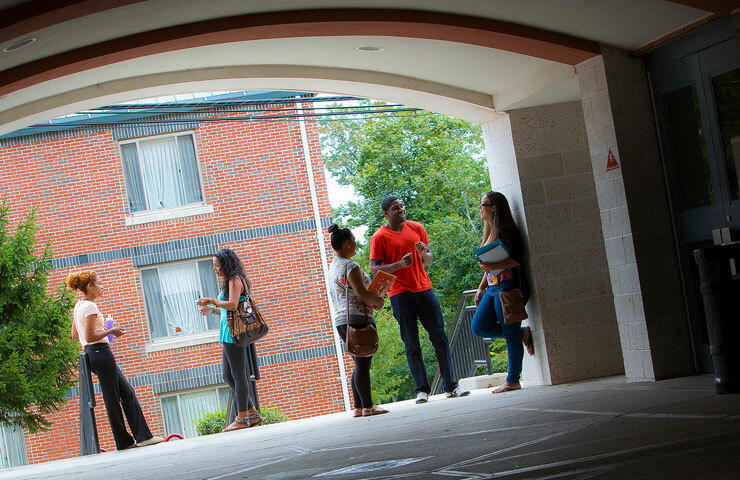 When you join the nearly 2,200 active undergraduates living on campus at William Paterson University, you’ll be at the center of it all, sharing your college experience with fellow students from every background and perspective. You’ll build friendships that could last a lifetime, while learning a lot about yourself and your interests, not only academically but also personally and socially. With accommodations ranging from double room suites to apartments, our well-equipped residence halls provide a safe and comfortable environment for studying and participating in activities, making it easy to stay connected to everything that’s happening on campus. We encourage you to become actively involved in your residential community and campus life through the many programs and activities that are offered during the course of the academic year. This website provides important information about living on campus and our residence hall policies. Should you have any questions, please feel free to contact us at 973-720-2714. We look forward to seeing you during the academic year! Housing Applications available for Fall 2019 for new transfers, commuters, and new freshmen. Residence Life is accepting housing contracts and housing deposits for fall 2019 assignments. Students should view Applying for Housing page to learn more. Please be sure to submit both the required $150.00 Housing Deposit and the Housing Application as they are both necessary before an assignment can be processed.